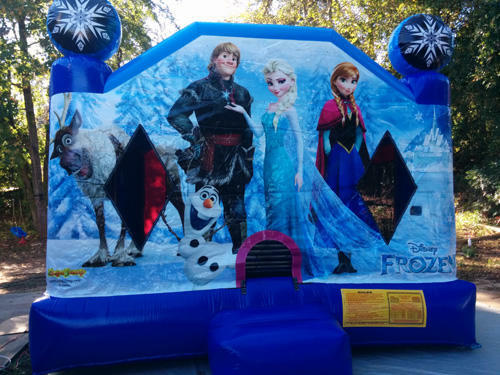 The Frozen Bouncer Rental is Hot! This Frozen moonwalk features Anna, Elsa and their hilarious snowman friend Olaf from the latest Disney hit movie! 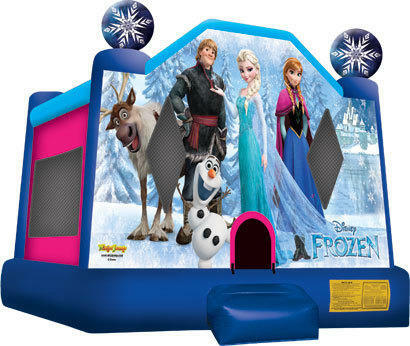 This unit has bright clear graphics with your favorite Frozen Movie characters welcoming players as they enter, an inflatable ramp at the entrance, and large netted vent windows to keep things cool for the kids and allow parents to keep an eye on all activities.